Happy Friday everyone! 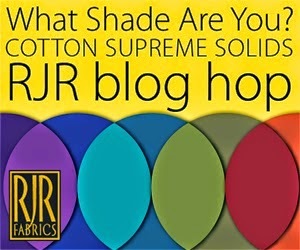 Last month I was contacted by RJR Fabrics and asked if I wanted to be a part of their Supreme Solids Blog Hop and it took me about 2 seconds to say YES. I love solids anyway and the projects I'd seen people doing with these had shown me a gorgeous range of colors that I was thrilled to play with. As I thought about my design I kept coming back to an Autumn color palette - I'm so ready for cooler weather, changing leaves and pumpkins I can't even stand it! In addition to color I'm always drawn to large blocks that make a big impact design wise, which led to this jumbo sized flying geese quilt. I'm calling this one Flying South and I am delighted with how it turned out. The colors were just as rich as I'd hoped and when they arrived I couldn't wait to cut into them. After combining all the color pairs to make the individual blocks I laid this out probably 5 or 6 different ways and finally settled on this after some *very* helpful suggestions from a friend. Aren't quilty friends the best?! I love the movement from the random chevrons and that the chevron pattern isn't obvious, but kind of comes as goes as you look at the arrangement. I love how all the colors of play together and glow when you put them next to each other! Because these are large blocks they sew up very quickly - I had all the cutting and piecing done in one morning. If you're busy, big blocks are your friend! 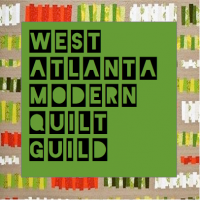 I used masking tape to mark straight vertical lines randomly spaced for quilting. See the color on the very tip-top ends of those leaves? No? Look closer. It's there, I swear. 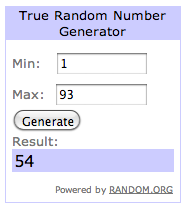 So this is the high tech way I plan out my blocks and quilts, starting with a graph composition book and a pen. I wanted these blocks to be FQ friendly so I made sure my layout would work even with FQ's that might be a bit wonky - I think this gives you the biggest flying geese block possible with a FQ. You'll need 2 FQ's to make 2 blocks. Measurements for cutting EACH block are: cut TWO 8.5" squares and ONE 8.5" x 16" rectangle. If you use half yards instead (like I did) you'll get 4 blocks from 2 half yards. I like this tutorial for flying geese blocks - I used the traditional method for this block. For this quilt I used 18 half yards, making 4 blocks of each colorway. My layout was 4 blocks x 9 blocks and the finished size was approximately 64"x72". I used flannel on the back and I had a piece in my stash that was about 4 2/3 yds that worked great. You can check out all the gorgeous RJR Supreme Solids right here. You can find a good selection of RJR Supreme Solids at Pink Castle Fabrics. If you're interested in seeing the other amazing projects in this series you can find them all on the Blog Hop facebook page. RJR Fabrics provided me with the fabrics for this project and giveaway but all designs and opinions expressed are my own.